This trip was a special one. It was a family gathering, with 8 sites taken all in the area (five sites along the edge where we were, and three just across the road for the larger RVs). It was out "Christmas in July" gathering. This is the first year of doing so, and it sounds like it may become our new family tradition. Christmas Day used to be at my grandparents home back in the day when the family was not so large. It was just the grandparents, my parents and us three kids, couple aunts and uncles, and a few cousins. But, as happens with families, the kids grow up, get married, and start a family of their own, and now some of those kids are grown up having kids of their own. And on top of that, the family is expanding geographically as well. So the weather can play havoc with our plans in the winter, as what happened this last Christmas. Since most of us camp anyway, we decided to do a family weekend camping trip, and celebrate Christmas in the summer. Those that don't camp, there are hotels nearby, so everyone that can make it can get accommodations. Unlike what happens some times in the winter, this trip, the weather was very cooperative. Even if it wasn't, it wouldn't be icy and slippery roads, like what cancelled our Christmas party last winter. Worse case, we get wet (ultimate worse case would be a massive storm with tornadoes that rip through the park, but that's not something I want to think about). There were enough awnings and such that it wouldn't ruin the weekend. And besides, it's camping. I've never let a little rain ruin a camping trip. The campground itself was nice. It's not my taste of where I like to camp, but still nice. 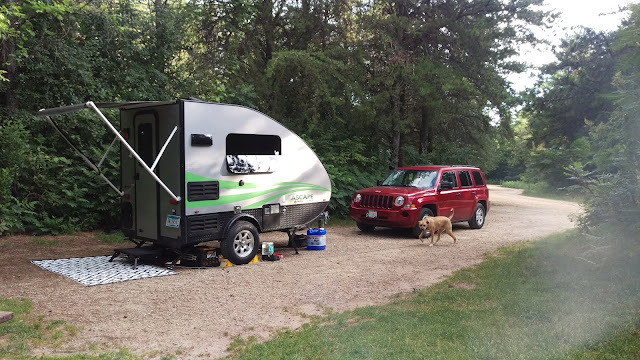 I like the more laid back camping at state parks and such. Every now and then, I do still camp at these types of larger campgrounds, mostly with a group. 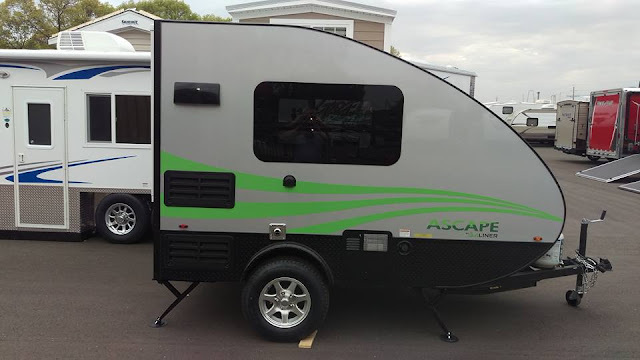 They do have many more amenities, like at this one, there was swimming, mini golf, various small vehicles to rent (golf carts, peddle cars, etc. ), and, of course, Yogi himself. The cost is more than I typically pay, but for everything they have, it wasn't over the top. For a site with electric and water,we were charged $55 a night. Bathrooms and showers were very clean for the size of the campground and number of people there, and from what I could see (didn't try many of the features they had), everything was in good condition. The campground is just off the freeway (I-90) right outside Sioux Falls, SD. But there was no issues with noise from traffic on the highway. Overall, I would rate this as a 4 out of 5 stars. It has many nice amenities, very family oriented, and is well maintained. There is easy access to the freeway, and Sioux Falls is just a couple miles down the freeway from the campground. The price is on the higher side, which is why I took a point away. 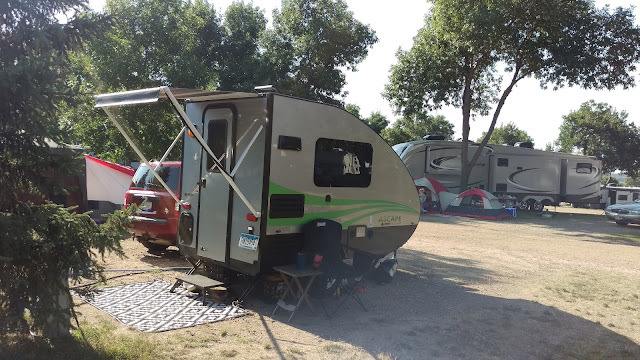 This is a place that you do find a lot of larger RVs at, but there were still many smaller campers, from smaller travel trailers (even a couple other micro-TT's around the size of mine), hybrids, and pop-ups. And it doesn't end there. There will be a second posting from the second part of trip after we left this campground. It was a 4 hour drive to get there, and I didn't want to stay for just one full day and have to drive back home again. So I made reservations at Blue Mound State Park, and will be posting an entry on that later tonight or tomorrow.